Your training centre for asbestos, Legionella, fire and health & safety courses. Here you will be able to find out all you need to know about our training courses and book using our easy to use online booking system. Your training centre for asbestos, Legionella, fire and health & safety courses. Here you will be able to find out all you need to know about our training courses and, from Monday 12th June 2017, book using our easy to use online booking system. 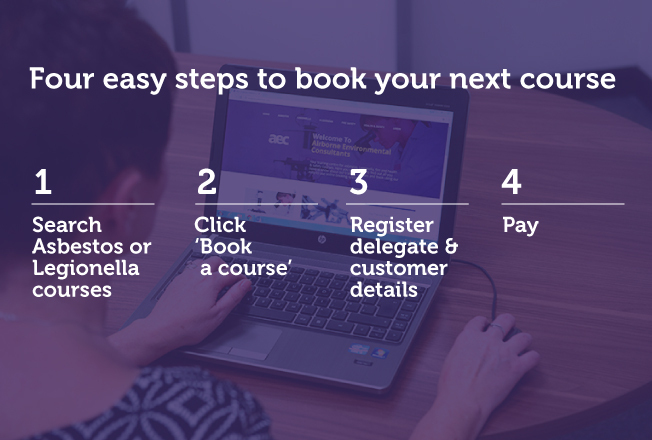 Our customers can now easily book asbestos and Legionella open courses through our website and manage their accounts at any time. Take a look at the courses we offer below. For any online booking queries, please call our training team on 0161 872 7111. If you are looking for quality, experience and proven success, AEC are the perfect training partner. 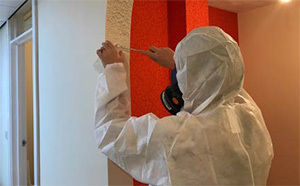 As a leading asbestos training company we offer a range of fully accredited courses including IATP, BOHS, UKATA and RSPH. 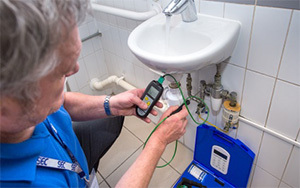 AEC has one of the UK's largest selections of accredited Legionella training courses and can provide these courses in-house or onsite. Including all BOHS courses. 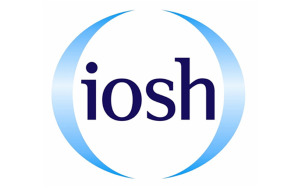 As Health, Safety and Environmental Consultants a wide number of courses are included in our portfolio, from IOSH courses to Working at Heights Awareness, DSE Regulations Assessments to Air Monitoring and LEV systems training. 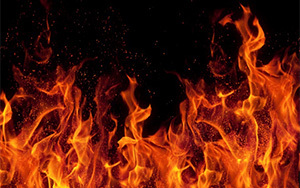 We provide fire safety training courses, including introductory training for staff members, fire warden and fire marshal training, as well as, evacuation procedures. AEC can provide any of these courses at your premises or at AEC's premises. We provide an accredited asbestos awareness e-learning course. It's suitable for anyone working within a refurbishment, maintenance or allied trade. The training will support learners to avoid disturbing asbestos.